De Molenhof is a luxury camping site located in the Twente region of The Netherlands. 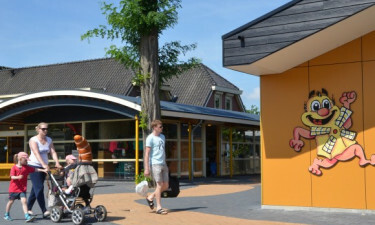 The area is known for its calm and inspiring landscapes and is the ideal place to discover the most quintessential Dutch culture while visiting breweries, mills, plant nurseries, amusement and adventure parks, flea markets, and picturesque towns. 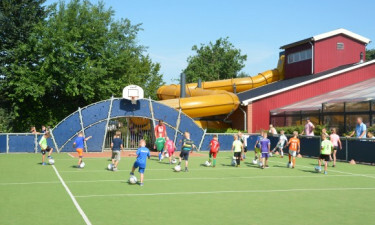 Learn more about Camping De Molenhof.. This luxury camping site offers everything you need to enjoy a five-star camping holiday with your family, including plenty of open space, well-maintained facilities, and a variety of activities and entertainment options. Contact the LuxCamp team to book a memorable stay at one of the top campsites in eastern Netherlands. 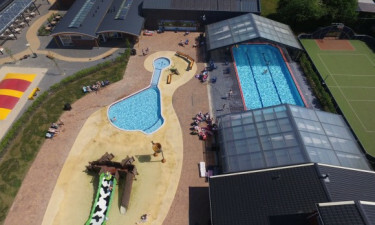 Why choose Camping De Molenhof? A family-friendly atmosphere in a luxury camping site. A professional team of entertainers who have plenty of experience working with children. More than 30 dedicated play areas and sports facilities. Excellent location with plenty of day trip destinations nearby. The campsite has two heated pools so you can enjoy them even outside of peak season. You can choose between an indoor and an outdoor pool, or head to the on-site recreational lake equipped with slides and other playground equipment created to ensure that kids have a blast. If you don't feel like cooking at your mobile home, great food is only steps away at the campsite's eating facilities. The on-site bar, pizzeria, and restaurant serve fresh food and local treats, and there are other restaurants within short walking distance in case you fancy a change of scenery.